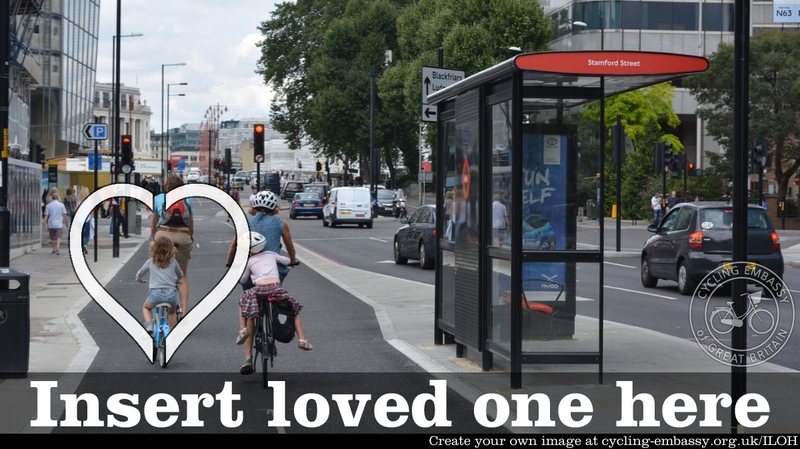 Shine a light on good or bad cycling infrastructure by asking one simple question: would you want your loved ones cycling on it? 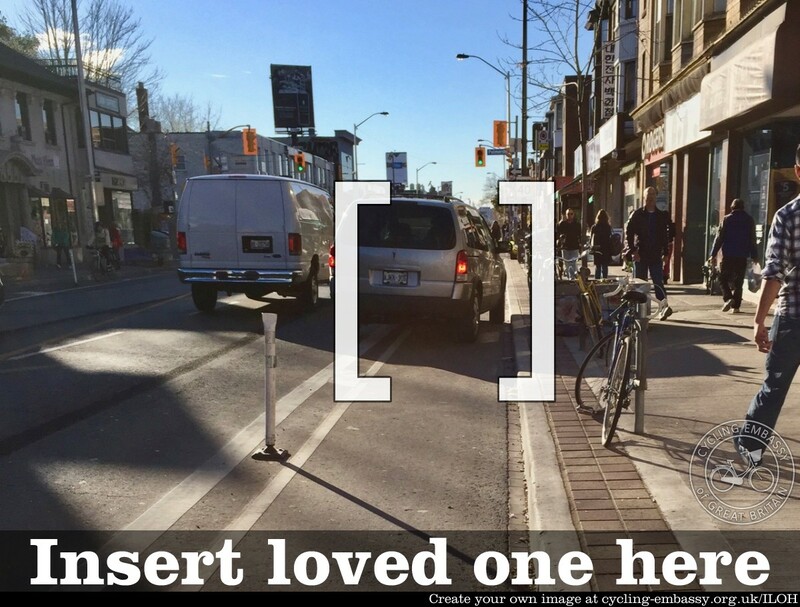 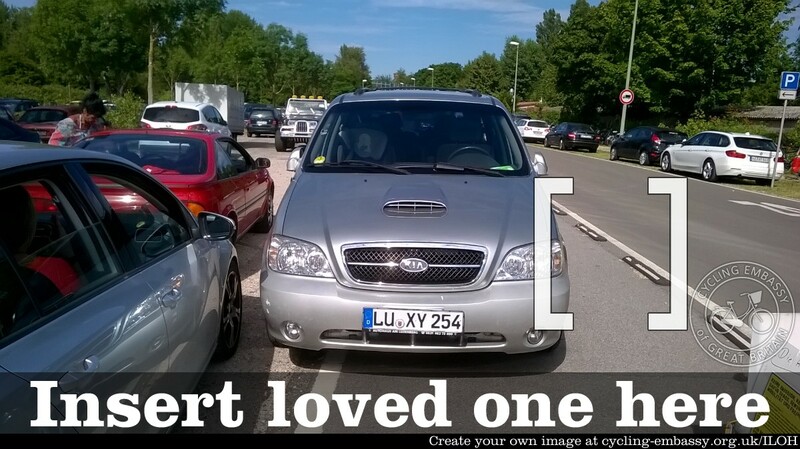 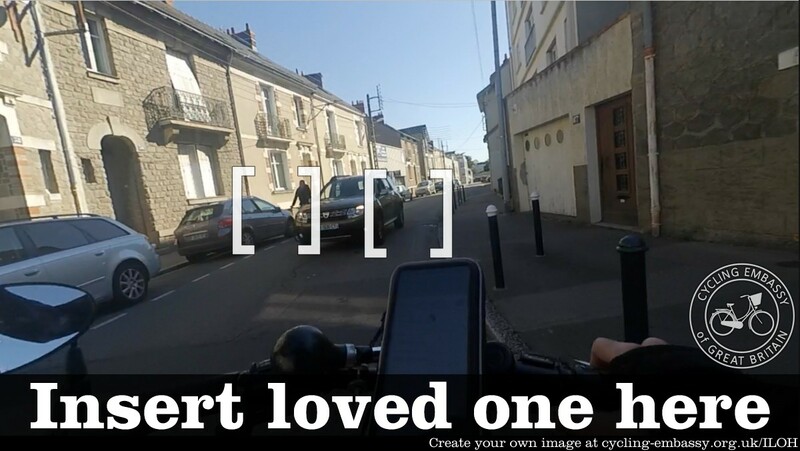 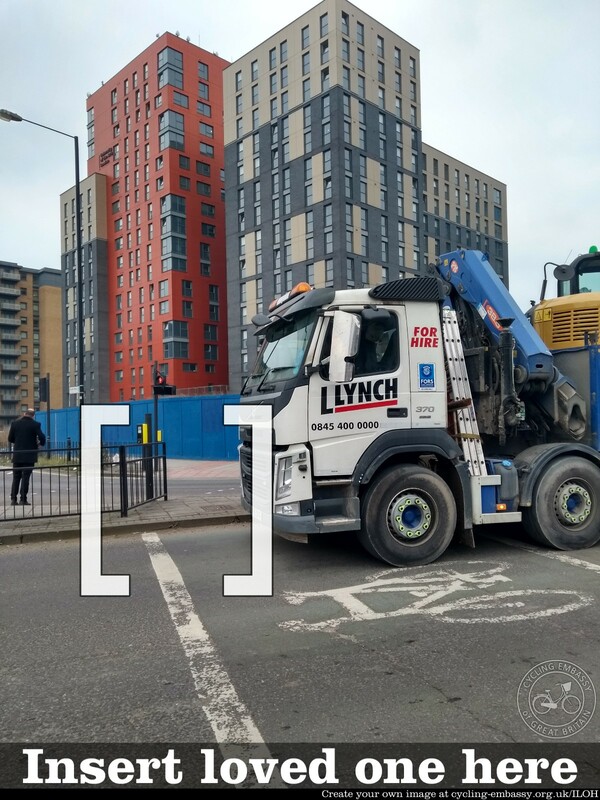 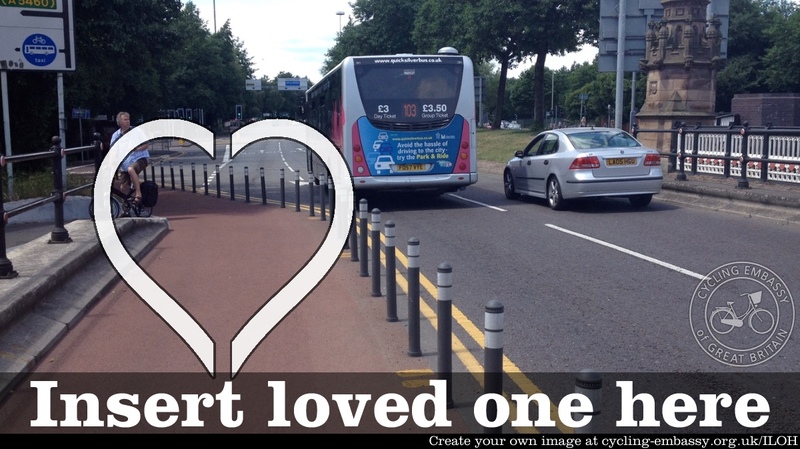 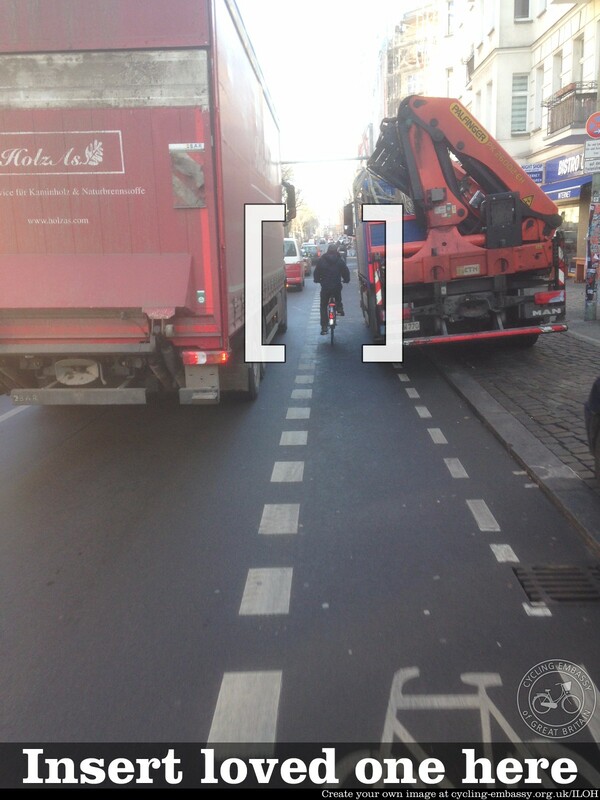 Use our simple tool to create a powerful image for your own campaigning, which you can submit to this gallery of bad cycling environments. 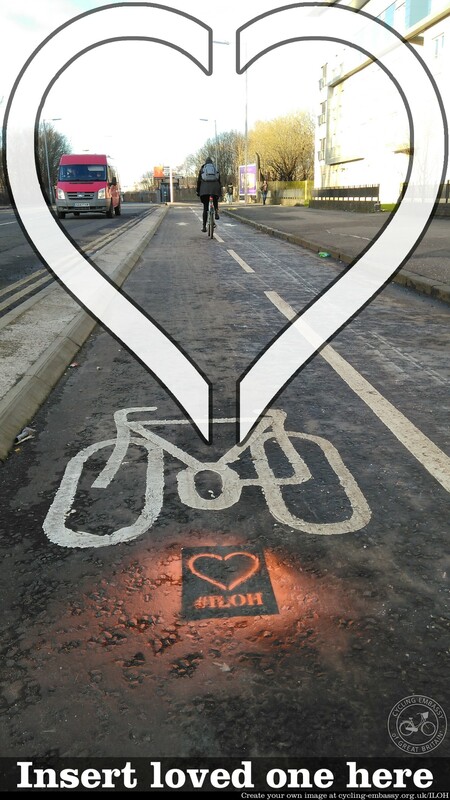 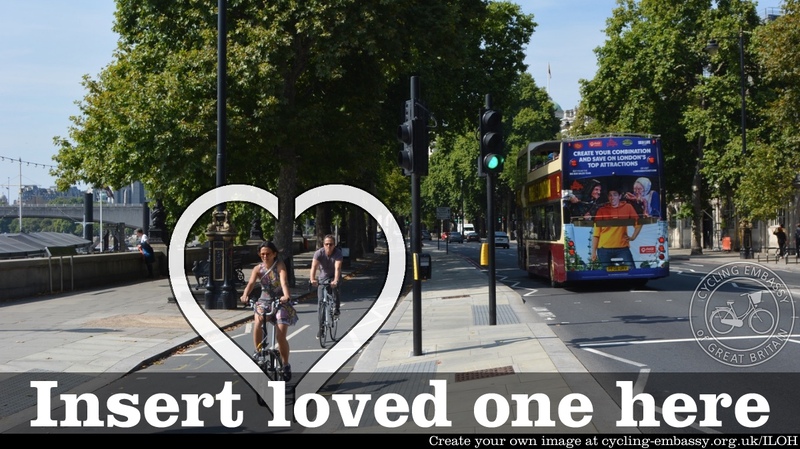 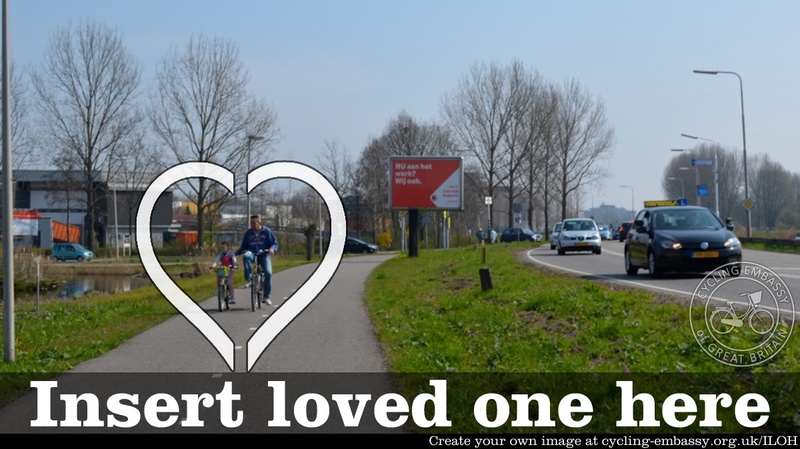 And as of Valentines' Day 2018, we're also featuring good cycling infra, with a heart-shaped target! 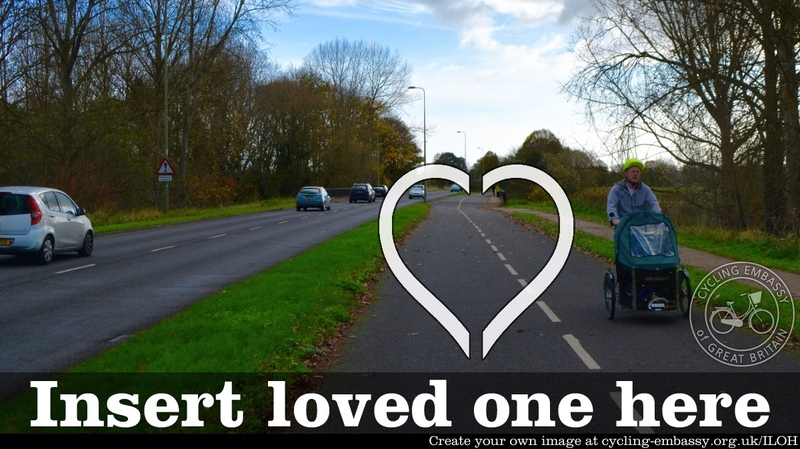 It would also be great if you share your image on social media using the hashtag #ILOH. 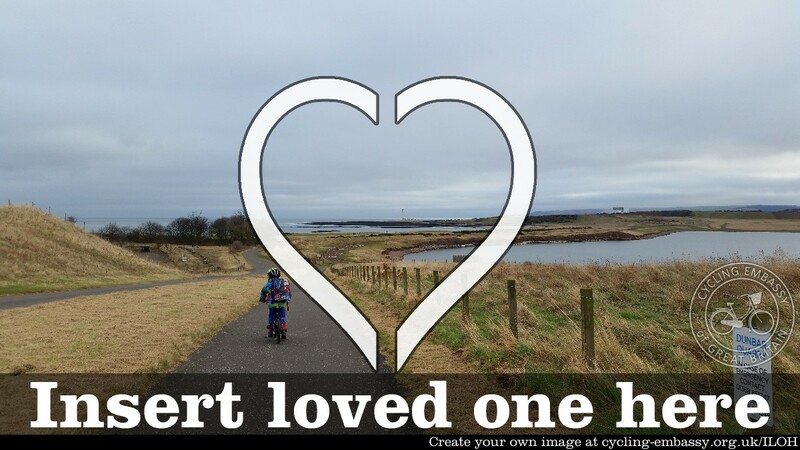 You can view the submitted photos on a map or as a gallery.